The Span of Wedding Tent arrange from 6M, 8M, 10M,12M regular size.The Eave Height is 2.6M. The structure of wedding tent adapt with bay combination design, each bay distance is 5M and it can more or less. 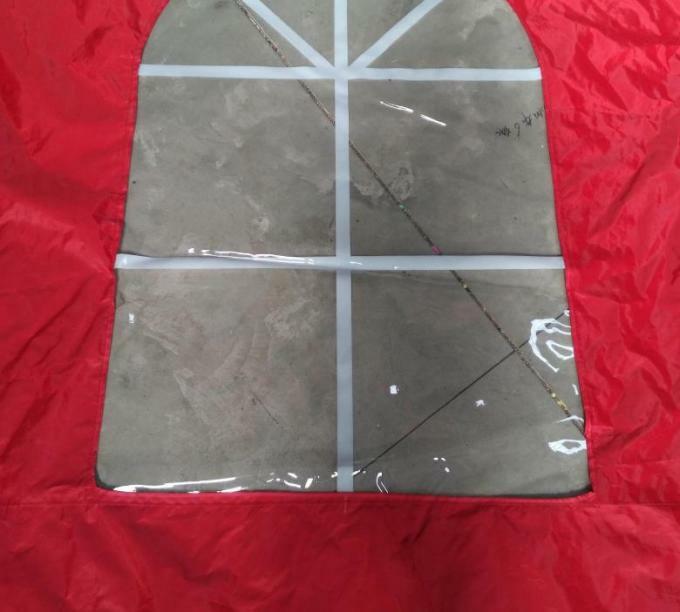 The cover use anti-fire double PVC fabric, it meet with EURO DIN4102B1,M2 standard and weight of pvc is 850g/square meter. It has two type, white and clear pvc. The wedding tent has many options to make the tent more functional. 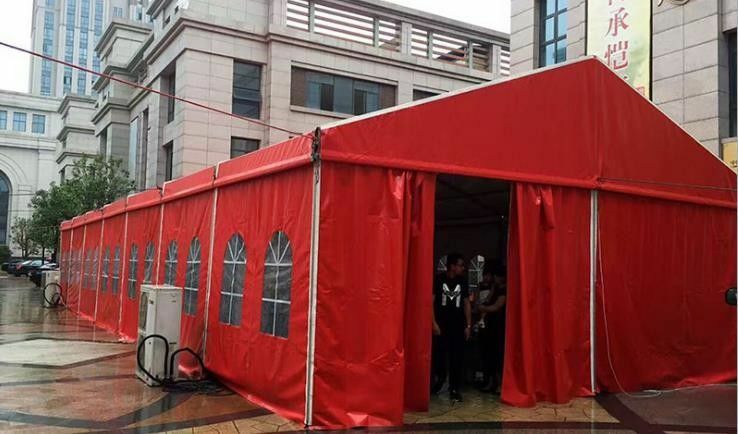 The wedding tent is modular design, safety and anti-wind reach 80miles/h and it widely used in outdoor wedding events. 1. Car Exhibition span arrange from 3-60M. 2. The length has no limit and it extend the bay according 3m/5m per bay. 3. The regular bay distance is 3M or 5M, and it can make other size. 1. The frame use the high reinforce aluminum truss and the connection part use the hot-galvanize iron truss. 2. The aluminum part and iron part are process with difference type. 1. The top cover and side wall covers used the double PVC of polyester made.